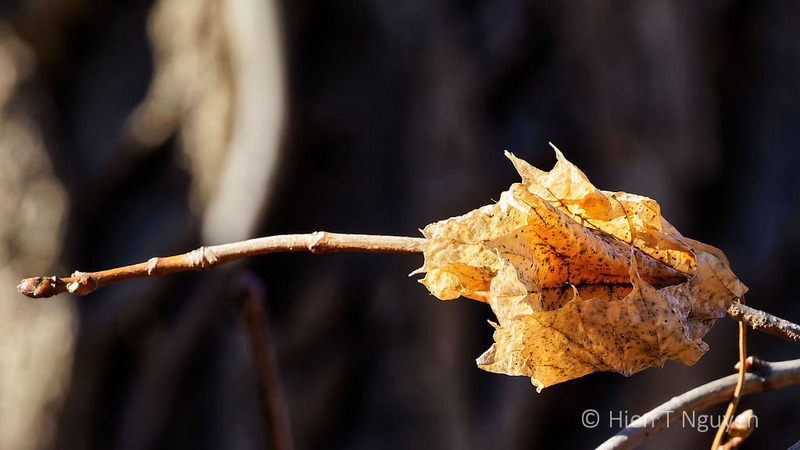 Nature is a great sculptor! Super collection of winter magic … that heron is a stunner! 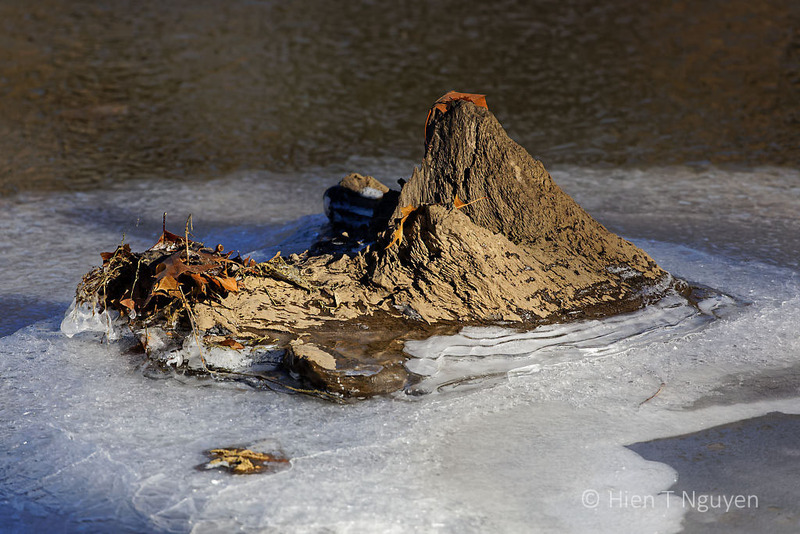 Ice is a wonderful, fun subject, you captured some really cool images, Hien! Thank you Donna! If only it was not so cold and windy. 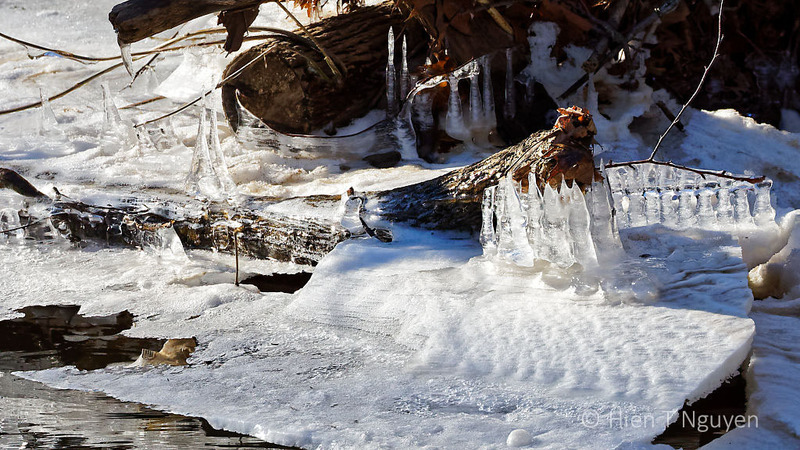 Even though many of these made me feel cold, I loved them all, the ice formations look beautiful in the sunshine! THank you Jerry! 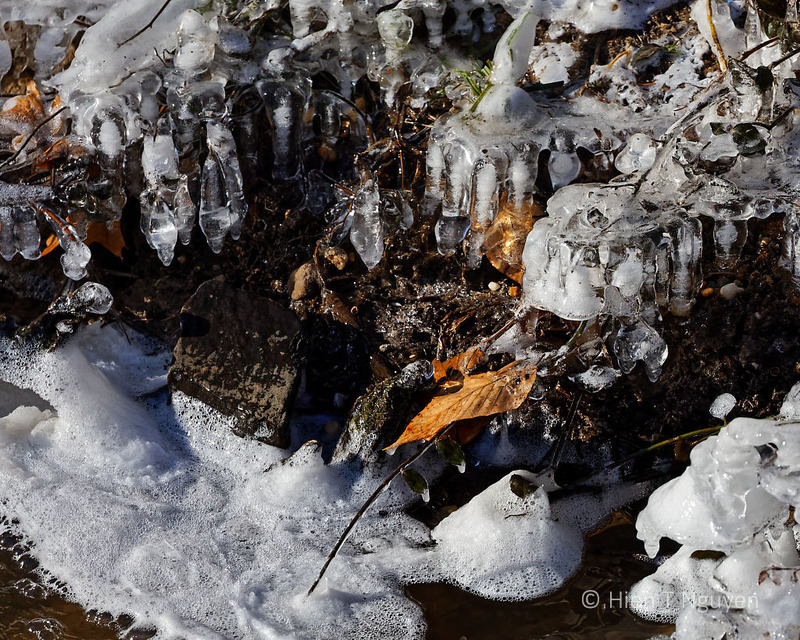 Every year I try to photograph ice formations near our house. Only this year’s photos turned out okay. It was cold, and windy! I lasted maybe 30 minutes, and was really happy to get back in the car! A fascinating subject. Was the bird iced over? Of course not. I’ve been through Spokane in warmer months. It’s a large city, but surrounded by nice scenery. I’m not fond of the city, I’m a small town girl, but yes beyond Spokane north and east is lovely. Oh, that heron looks cold! Those are some amazing ice formations you found. You all have had some very serious weather! Thank you Lynn! Where you now are, do you ever miss winter scenes like those above? Beautiful photos, that heron has impressive balance standing on one leg and not tilting!! Thank you Emma! 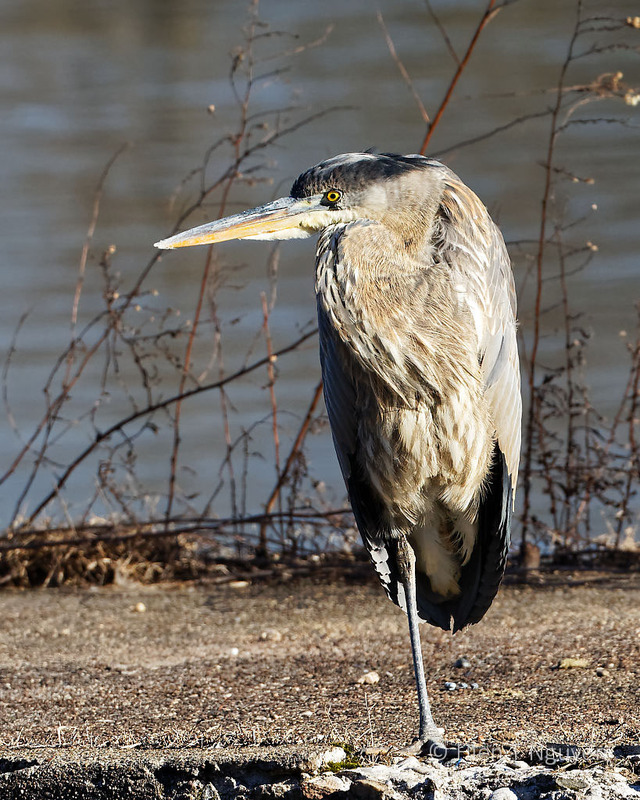 Herons and many other birds have no problem maintaining their balance on just one foot. That’s what they do when they are sleeping, with their heads tucked inside their wings. Thank you Katelon! Do you miss the snow? Thirties in Florida! I hope the oranges don’t freeze. Watch those prices and you will soon know….! Thank you Amy! The wind was what was most bothersome. Your beautiful shots made me wish I had gotten out today. The ice bells are amazing! Do blue herons not migrate to warmer places? Thank you Irene! Herons usually stick around all winter, or don’t migrate very far away like other birds. Beautiful pictures, so still. Even the heron looks cold. Thank you! It was cold and windy. I was the only human walking around part of the lake. When I came back to my car, the heron was maybe 30 ft away. 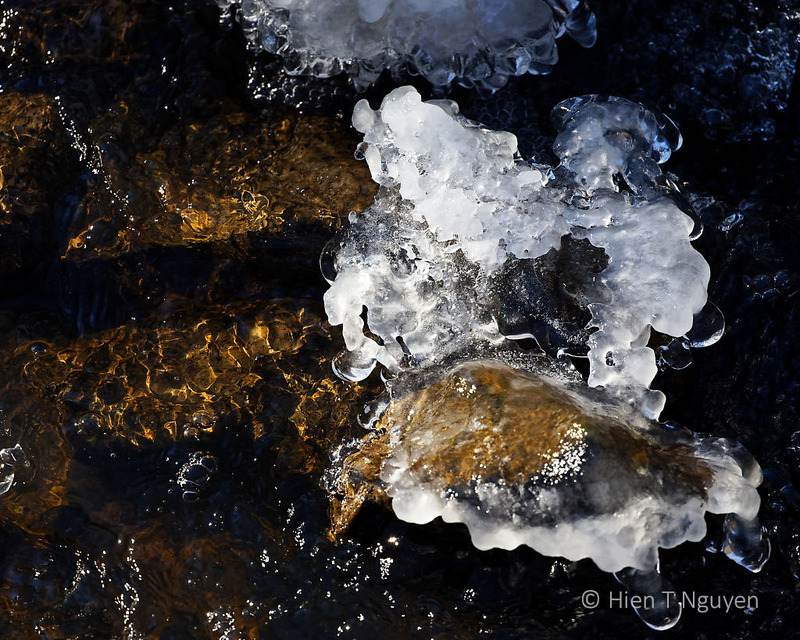 Ooh, nice ice captures, Hien. I like the ‘ice bells!’ Thanks for the mention. 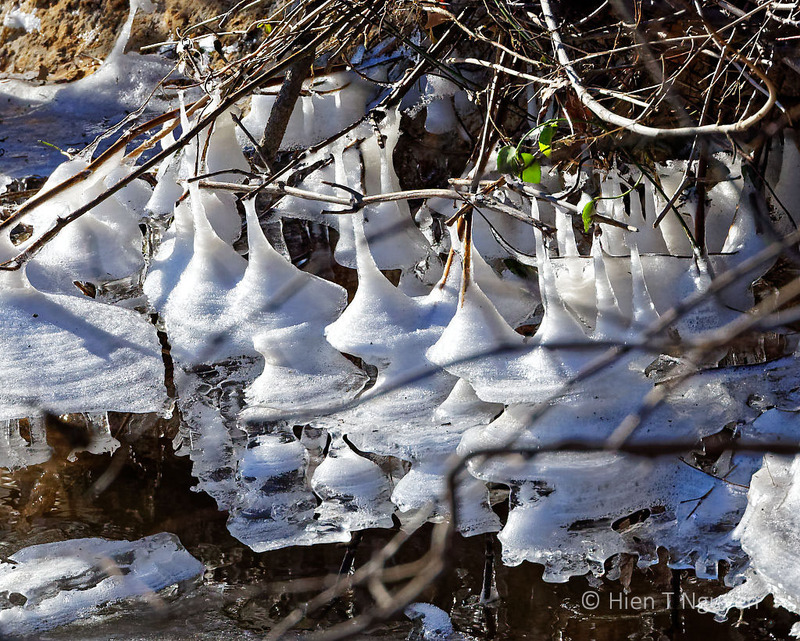 Aren’t ice formations fascinating? No two alike! Thank you Eliza! 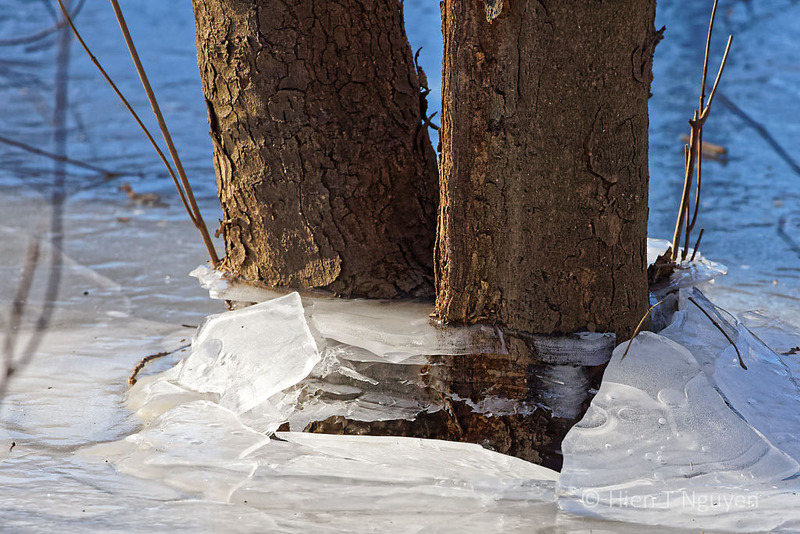 Those ice formations will probably melt by tomorrow when temperatures will rise above 50 °F. But winter is not over yet! Thank you Cee! I had a coat, but barely lasted one hour before going back to the car!